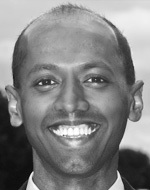 Navi Radjou is a Silicon Valley–based strategy consultant, a World Economic Forum faculty member, and a fellow at the University of Cambridge’s Judge Business School. Pioneering companies in mature economies are learning from emerging market companies a new way to expand their businesses. The health insurer is leading the way for the reformation of the U.S. healthcare system by saving consumers money and testing innovative ideas. French railway giant SNCF responded to the threat of low-priced upstarts by creating a lab to accelerate R&D and cut its cost. The firm has launched a transformative strategy that focuses on efficacy and innovation. In order to compete in emerging markets, Siemens had to learn what the locals wanted. Using a smarter design, Renault has engineered high-quality, low-cost cars for cost-conscious consumers. The lessons of frugal innovation allow companies in both emerging and developed economies to do more with fewer resources. Practical wisdom in business comes from combining the broad view with the narrow, and opportunity with constraint. The structured approach to innovation favored by mature companies can’t deliver the agility and differentiation they need today.